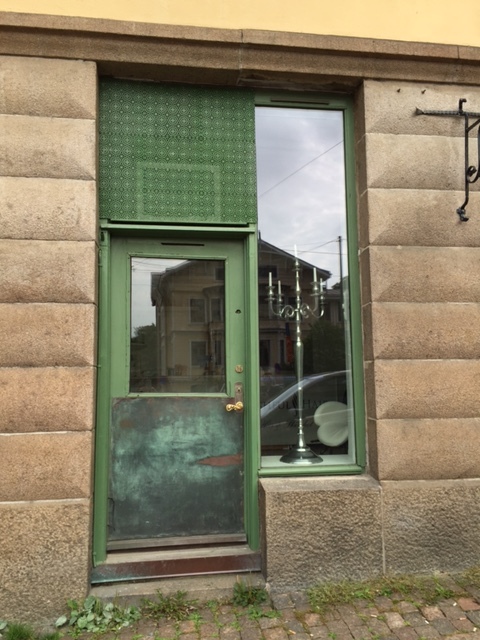 Sweden’s second largest city, Goteborg, is more edgy than elegant Stockholm. It has more of an industrial vibe. 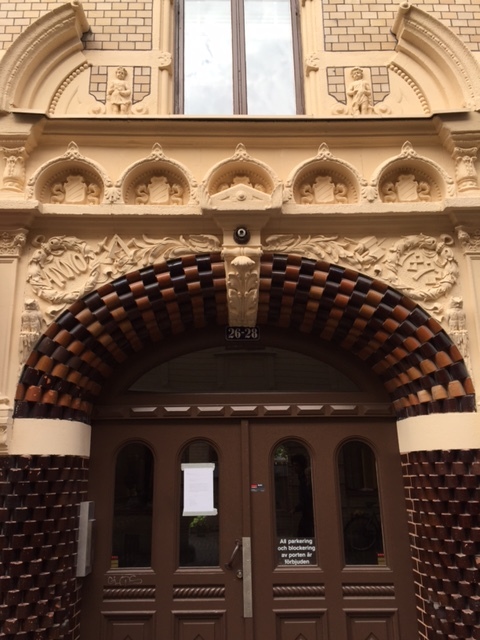 But it still has plenty of beautiful doorways. 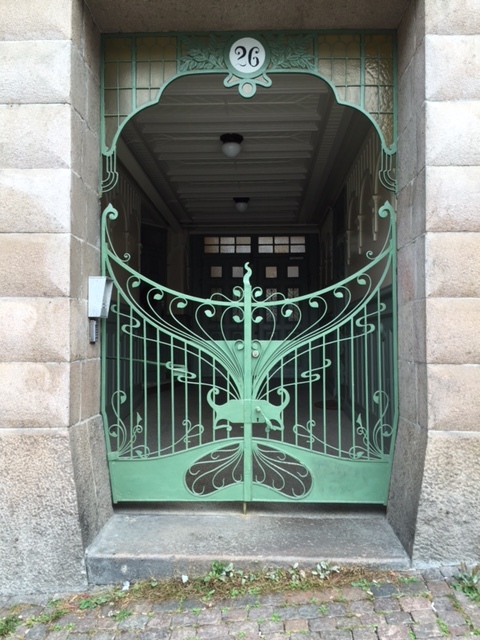 The Art Nouveau gate above led into the vestibule of an apartment building near the University. I’d move right in. 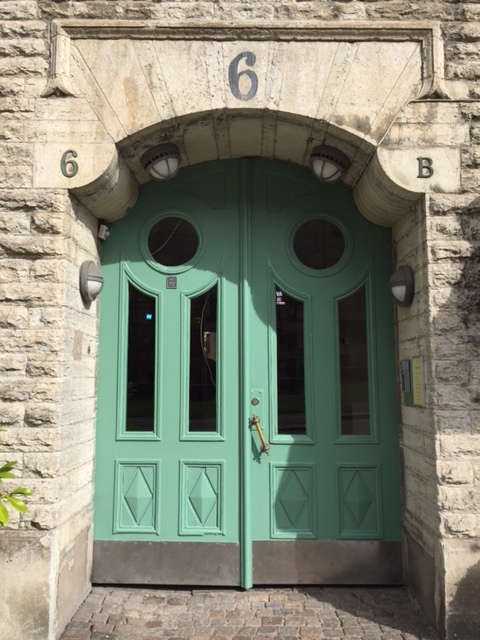 Green doors are popular. 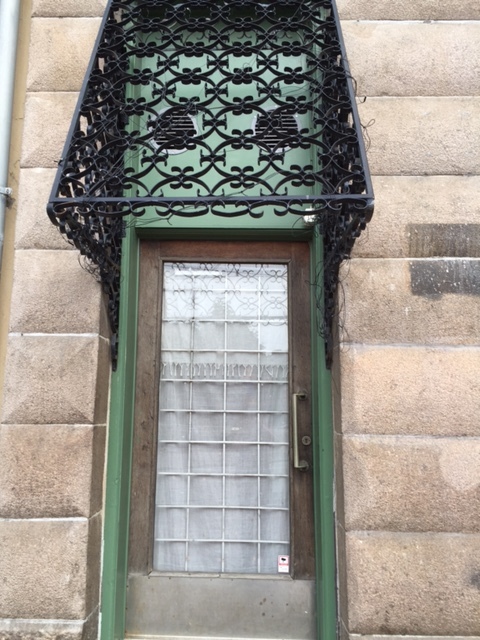 Some are simple and some are ornate. 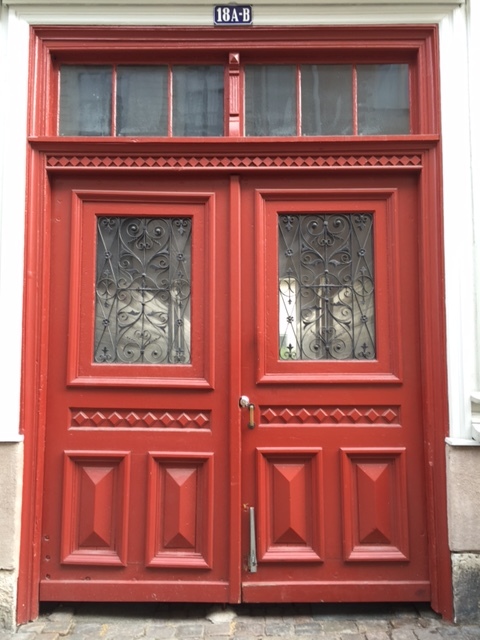 Red doors are even more popular. 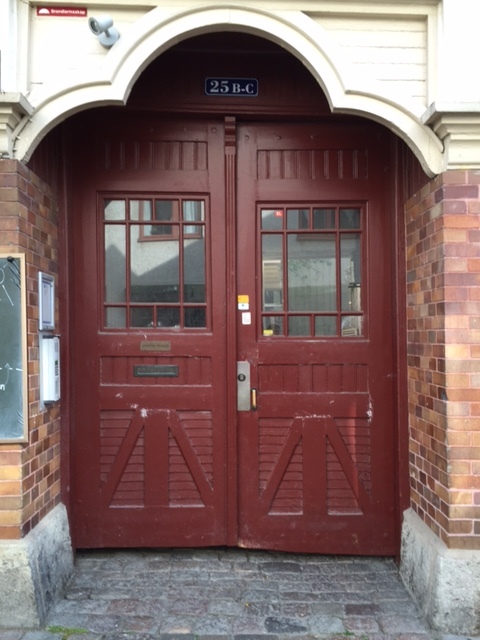 Very Inviting! 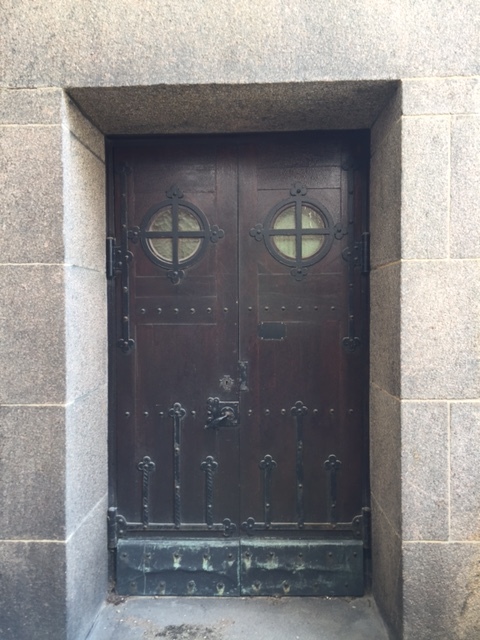 These somber church doors reminded me of some of my more dour Swedish ancestors, who joined the great migration from Sweden to Minnesota in the 1850s. I didn’t actually get inside this church because a funeral was about to begin. The guests, mostly very old, REALLY reminded me of my ancestors. 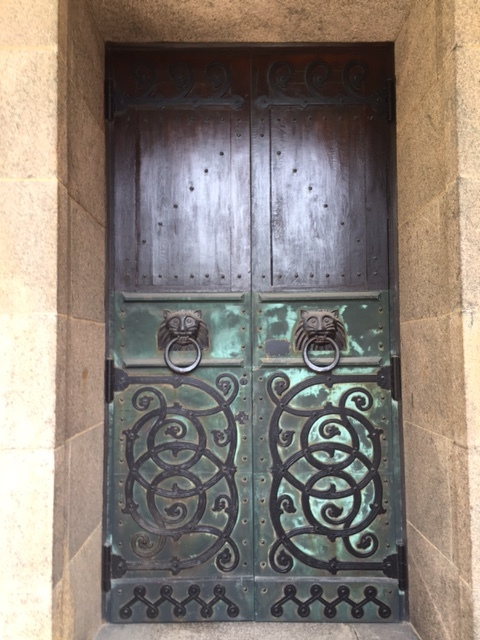 In the church vestibule, I opened the blue door above for a very old man who had just been dropped off in a taxi and had made it up the stairs with some difficulty. 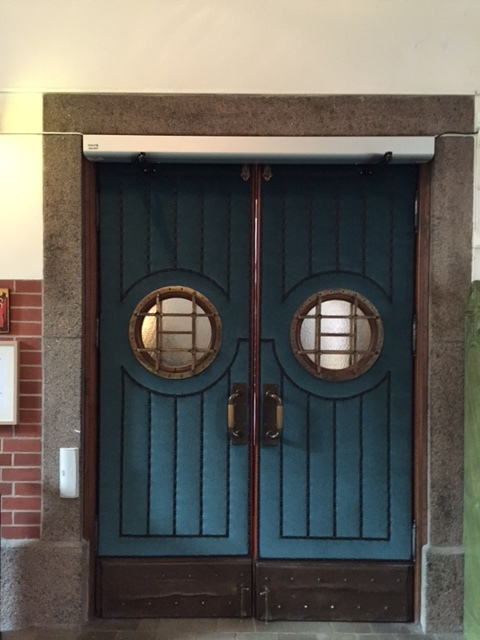 The doors in this church had porthole-like windows, just right for this seafaring city. Was the old man attending the funeral of an old shipmate? Goteborg has a thriving waterfront–with a spectacular new Opera House. I’m already plotting a return. 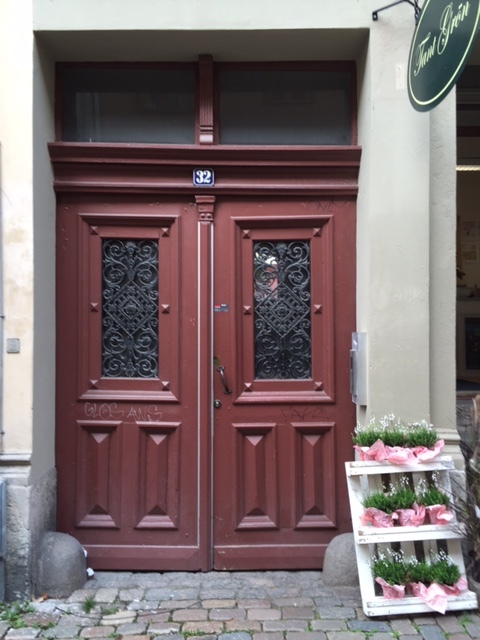 I want to open more doors. 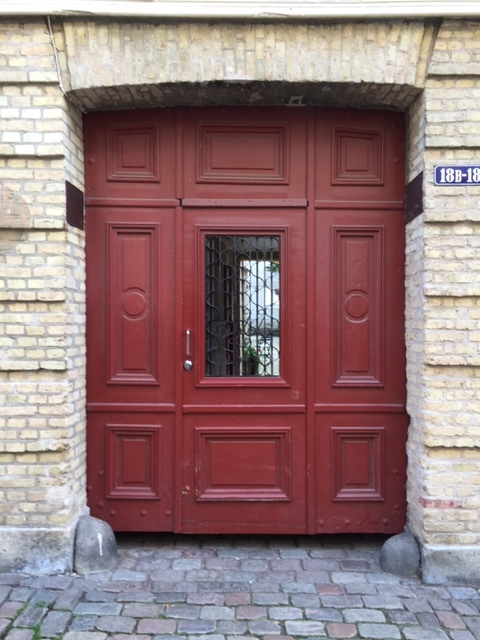 This entry was posted in Scandinavia, Why I Love Sweden and tagged Goteborg doorways, Goteborg in Sweden, Gothenburg in Sweden on September 27, 2016 by Claudia Suzan Carley.